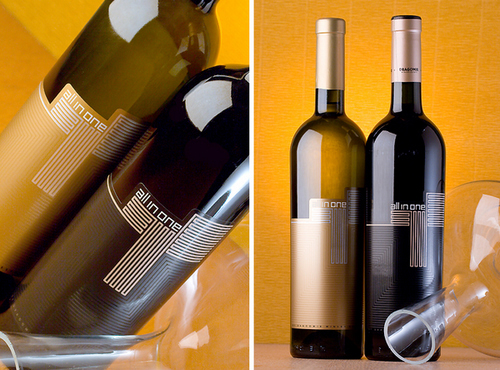 Interview with top Bulgarian wine label designer Jordan Jelev, whose outstanding work and the talent of making each wine bottle shine with its own beauty have earned him the nickname The Labelmaker. Jelev is also world-renowned, popular in wine circles across the globe for his award-winning labels and expressive calligraphy. 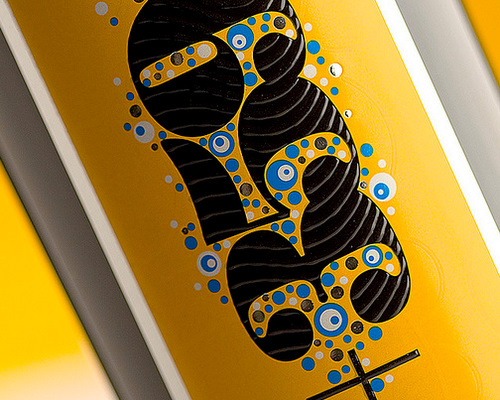 In the last 15 years, he has created and creates custom lettering and logos, giving his designs a distinctive, bespoke look. The Labelmaker is the only Bulgarian to be featured in the largest in the world site dedicated to packaging The Dieleine. His name can be seen in a number of prestigious international and Bulgarian books, magazines and blogs, focused on wine, label and packaging design, computer graphics, and calligraphy, among others - www.lovelypackage.com, Monsa, Wine Pro book – Spain, Labels and Labeling magazine – London, UK, Computer Arts Projects Magazine – London, UK, Choi's Gallery, Pack Your Life Book - China, Atpower, PackAge Book – China, Gestalten, Playful Type II Book – Germany, SIGNCAFE Magazine - Bulgaria, ProPack Magazine - Bulgaria, ProGrafika Magazine – Bulgaria, www.diVino.bg , www.lettercult.com. With his outstanding designs, Jelev has won the trust of some of the largest and best-known Bulgarian wineries such as Domain Boyar, Angelus Estate, Villa Luybimets, Vini Sliven,Vinprom Rousse, Dragomir Winery Estate, Festa, Black Sea Gold, Reggina Estate, and Chateau Evksinograd. 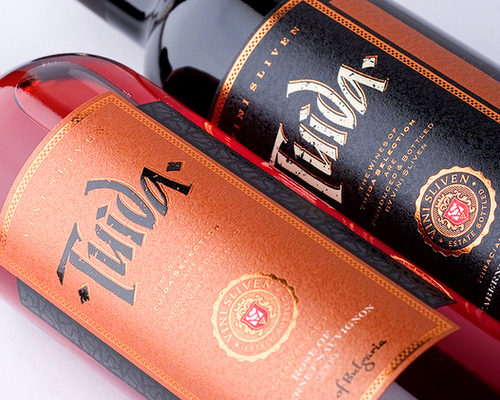 He is the author of the label of the emblematic Bulgarian wine Solitaire. 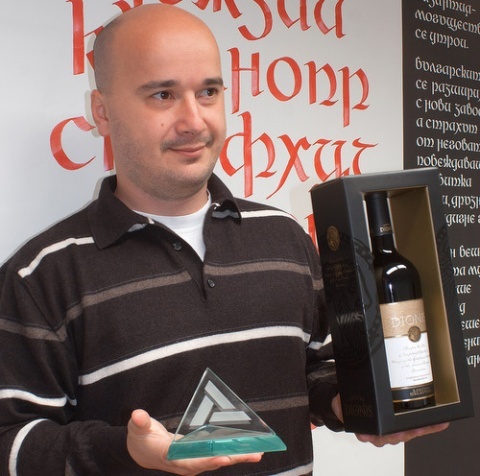 In 2009, Jelev won the 1st Prize at the Bulgarian Wine Chamber Contest for wine label designs. 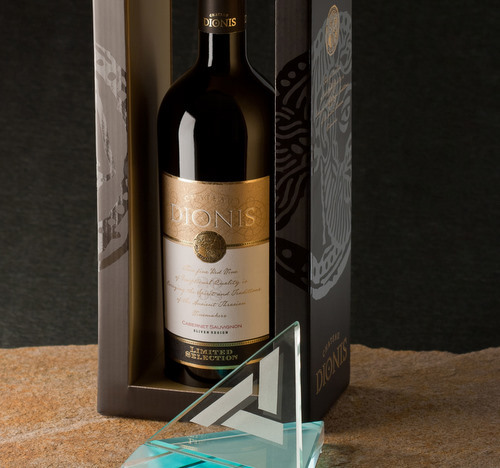 At the latest edition of Bulgaria's largest international commercial exhibit of wines "Vinaria 2011," Jelev won the top prize in the "Package Design, Label and Advertising" category for his design of the label of the Dionis (Dionysus) wine of the "Vini Sliven" winery. 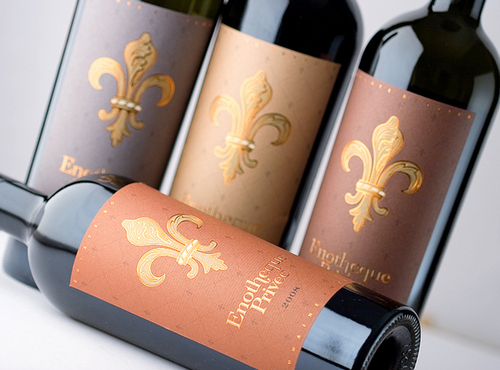 Along with Krasimir Trifonov, he also received the award for most stylish label for the "Dragomir" wine. Just recently Jelev was invited by Avery Dennison to be a member of the jury of the 2011 edition of the international, professional competition awarding the best wines and spirits produced worldwide, Concours Mondial, in the area of design. Jelev studied at the High School of Mathematics in Varna, and then graduated with an Economics Degree from the Economy University in the same city, where he lives with his wife and two daughters. We meet in a Varna coffee shop, Jordan is smiling. A soft-spoken, open and all around nice guy. He should be used to success, but it seems that all these awards, attention and recognition make him somewhat uneasy. I don't have an exact recipe. One becomes a designer with lots of hard work; the hard work still goes on. I have worked a lot and continue to work a lot – this is not a secret because it is obvious. I think I am very self-critical – some times too much. I regularly see people, who enjoy my last label a lot, but I find various shortcomings. I regularly overdo it and this helps me a great deal – people sense it, clients or just wine lovers alike – with both the label obviously sells. Your college degree was supposed to lead you to a career in economy and/or accounting and you ended being a top designer. How did it happen? ... Well, this is the most successful Bulgarian model – you study one thing and later become something completely different. My fate is not that far away from the fate of a taxi cab driver, who graduated with a degree in organic chemistry. This same thing happened to me, and, right now, I am truly happy I didn't become an expert accountant, for example. Actually, I began studying economy with the clear understanding this is a promising discipline, and with a purely existentialistic and Bulgarian mindset – my fridge would never be empty with it. For some reason that I fail to grasp until today, I wanted very much to study and work at the same time; no one was forcing me. So, in 1996, I ended in both the "Zograf" publishing company and the Varna Economy University – gradually, with time, thanks to this very situation, I was able to find my real place. I graduated with huge reluctance, but at the time I was lucky to land on the right people and in the right environment, and I started on the path I am still on until now. How does it feel to be a world-famous, top designer in Bulgaria? To a certain extend – it is like in this saying – "No One is a Prophet in their Own Land." Bulgarians still have a hard time explaining adequately for themselves somebody else's achievements and success, but one day this trend will disappear. The truth is that very few people in Bulgaria know that I exist – but if we consider this as something of importance, maybe it would be reassuring to note that enough people all over the world are excited about the things I do. To me, personally, popularity gives me two things – the first one is the prestige, which I try to use for the benefit of the end product, respectively for my client; the second is a huge and growing responsibility and self-criticism. Tell me about your very first wine label project? ... We go back to 1998 or 1999 – I forgot. The client was Black Sea Gold. There was a contest for two brand names and a vision to go along. 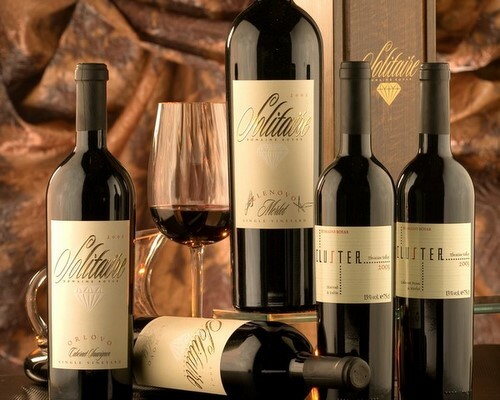 I proposed then Regalis and Nobilitas and they became my very first wine labels. What is interesting is that the way I worked then is almost the same as today – I am just more experienced and fast now. It was very exciting – I was deeply buried in a thick book on Latin, on loan from my grandfather – later I was successful in begging my mother and father to get me my own... So, with the Latin, and to a great extend with typography, I made my labels. By the way, both brands are still used. I also remember how everyone at Factor R used to help me – with both criticism and positive emotions. Only now, I realize that we had been writing the first chapter of a new book. And since 1998, until today, I am still with Factor R.
What came first – the interest in designing wine labels or calligraphy? What triggered this interest? Definitely calligraphy or more precisely – typography. Since I was a little boy, (and I had no knowledge then), I have been horrified by messy typography and vice versa – sophisticated letters filled me with respect. I am convinced this had been the beginning. Later, in the course of a year, first my father, and then my wife gave me as a gift a set of calligraphy pens ... the strange thing was that since the first time I started writing with them, I had the feeling that I always knew how. Naturally, with time, I realized I knew next to nothing, but also very much – the ideal formula is to either become presumptuous or continue to develop. Before I realized it, my calligraphy skills improved and grew, and gradually mixed with my professional development in the area of wine label design – and so, until the moment calligraphy became my reserved territory in the world of wine label design. Label design is just one of the many projections of graphic design. The typography, however, is so important and setting that it literally moves the design. At least for me. How did you get the idea to combine Arabic with European calligraphy? I believe European culture has been influenced by all world cultures. For this reason, I take the liberty to look for the roots of Gothic in ancient Persia for example – for me they have always been the first ones. From there comes my desire for all kinds of similar experiments and visual entertainment. It is interesting to make your own discoveries, to self-explain things that interest you. A while ago, I met a Frenchman – Julien Breton – he truly set me on fire! He does this mix between choreography and light calligraphy in a live show. He is very interesting, I would say impressive. Do you have a favorite design/label? I do – many – Bulgarian and from all over the world – mine and somebody else's. I like the conservative and uncompromising lack of desire for change in Bordeaux. I love the insanely modern labels of the New World. I love the Italians – they fearlessly visit both territories. I use quite a large arsenal of techniques, both traditional and digital... I find the golden mean and use the best of both. This is somewhat of a personal question... First, I get inspired by things that make me think – it could be a text, a real life situation, a memory. Lately, it is more and more difficult to find an individual to inspire me, maybe because I do things I find myself so interesting that they become a reason for inspiration. I enjoy my craft a lot and it charges me so much with positive energy that at times I become overwhelmed. 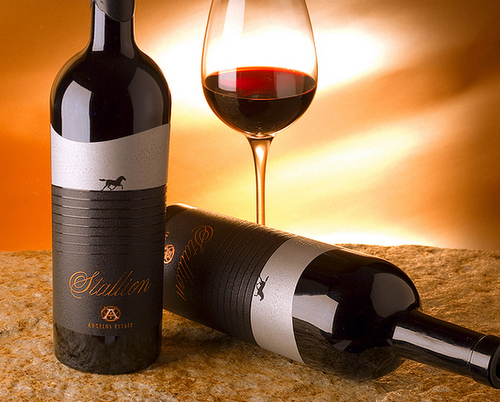 Are you working on other design projects beyond wine labels? Do you have to like the wine in order to make a label for it? Yes, I think it is important to like the wine, but not mandatory. 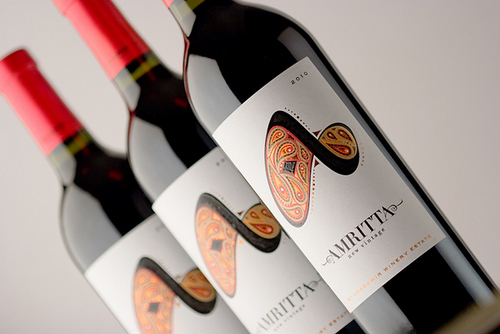 It is more important to have a formed idea about the wine, because it influences my design, and then it influences the public in a specific way. 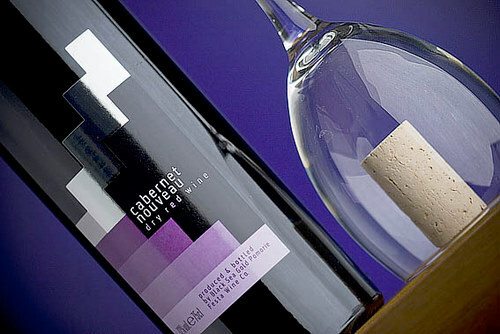 Tell me more about your last award-winning label – the one from Vinaria 2011? The idea about "Chateau Dionis" belongs to our partners from "Vini Sliven." Everything was fast and sudden for me – from receiving the task to the end product - the said label. The initial idea was to have a stylized image of an antique building, but after a brief brainstorming between the client, Professor Ovcharov, and me, we quickly reached the best solution for the association we wanted to have – a coin with the portrait of God Dionysus. Of course, we printed it with hot foil, something that would further reaffirm the authenticity of the label and the idea it conveys. I just posted on my profile wall in Facebook a message that I have finished maybe the craziest design in my career. It would not be right, at this stage, to offer more details, but I am certain, everyone will see it soon in top design forums all over the world. Of course it boils down to wine...and a little bit of calligraphy. Tell me more about yourself. What moves you beyond wine? Wine, labels, design are not the only things that interest me. I have always been attracted to music – I have no ambitions whatsoever to perform, but I am certainly in the "melomaniac" column. I also love quality sound and try to have it, without overdoing it. Lately, I catch myself searching for connections between the logic of design and the logic of music. I like discovering for myself the musical coding of a performance, This gives me another way of listening, hearing, understanding the same thing now, and, let's say, ten years ago. This process entertains me a lot, especially when with time, I noticed how much a have been running around in circles; how much I have missed. It is somewhat of a static hobby, but it is in harmony with my main activity – design – they are like interconnected vessels. Any ambitions to change the company or the city? Move to the capital Sofia, for example? It is difficult to talk about my future right now – I would hardly move precisely to Sofia. For me it is important that my children get the best from me as a parent and this would determine every single step I take from now on. Internet offers great opportunities to overcome the physical distance between the client and myself, so in practice, I can be anywhere in the world. 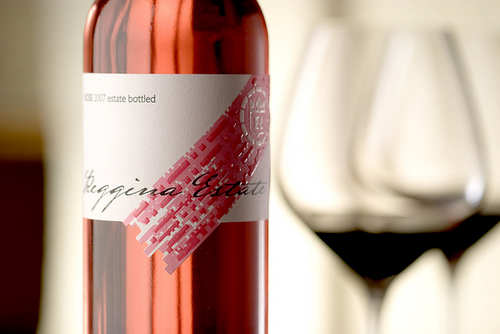 *All wine label images are from The Labelmaker's personal archive. » Prime Minister Borissov Will be Awarded With the "Orden of the Republic of Serbia"